Our faculty members have held leadership positions in military combat, large corporations, education, and non-profit. We are committed to providing our clients the best and most comprehensive leadership development programs they have ever experienced. To that end we also have selected experienced leaders, teachers, facilitators, and coaches to bring you unique and diverse perspectives on the topics and challenges facing leaders today. Dr. Jeff McCausland is the Founder and CEO of Diamond6 Leadership & Strategy, LLC. 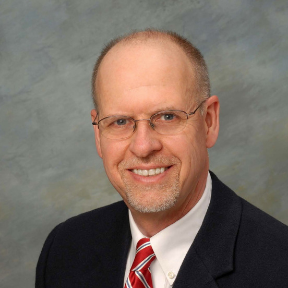 Since 2000, both domestic and internationally, Dr. McCausland has conducted numerous executive leadership development workshops and consulted for leaders in public education, US government institutions, non-profit organizations, and corporations. He has been a national security consultant for CBS television and radio since 2003. Consequently, he has been a frequent commentator on the ongoing conflicts in both countries as well as other stories focused on national security. David Barno is a Senior Fellow and Co-Director of the Responsible Defense Program at the Center for a New American Security. A highly decorated military officer with over 30 years of service, he has served in a variety of command and staff positions in the United States and around the world, to include command at every level. Dr. Kent Bechler served as superintendent of the Corona-Norco Unified School District, the 9th largest school district in California from 2007 to 2012. Kent has extensive training experience in management, leadership, systems, policies and procedures, strategic planning, labor relations, and developing collaboration and teamwork within organizations. He is well known for developing trusting relationships, team building and resolving organizational conflict. 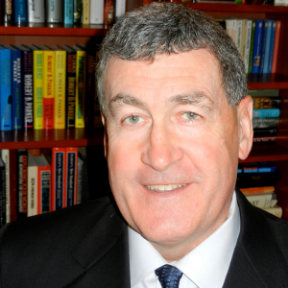 lincoln P. bloomfield, Jr. | Stimson Center in Washington, D.C. Ambassador Lincoln P. Bloomfield, Jr. has served since 2008 as Chairman of the Stimson Center in Washington, DC. Mr. Bloomfield was the U.S. Special Envoy for MANPADS Threat Reduction from 2008-09 (reducing the availability of shoulder-fired anti-aircraft missiles to terrorist groups), and U.S. Assistant Secretary of State for Political Military Affairs as well as Special Representative of the President and Secretary of State for Humanitarian Mine Action from 2001-2005. Mary (Missy) B. Breckenridge, D.Ed., recently retired from a 30+ year career in higher education, where she both taught and/or served in a leadership capacity at six institutions. In her final full-time position, she served as Dean of the Walker College of Business at Mercyhurst University. During her 18 years at the university, she served in a variety of capacities including Associate Provost for Graduate and Continuing Education, Associate Professor and Chair of the Organizational Leadership Program, Assistant Academic Dean, Academic Assessment Coordinator, and Assistant Professor. John (Jack) Clarke is Professor of Leadership, Management and Strategic Studies at the George C. Marshall Center in Garmisch, Germany. Dr. Clarke is recognized as a leading expert on Homeland Security and Homeland Defense issues. He has developed and taught numerous courses on homeland security, crisis management, and stability operations, as well as developing scenario-based exercises and simulations. He recently led a major research project on European Approaches to Homeland Security. Patricia Cook has an M.A. and a Ph.D. in philosophy from Emory University and a B.A. from St. John’s College in Annapolis. She currently teaches at the Naval Postgraduate School in Monterey, California, in the School of Business and Public Policy. Maureen brings over 30 years of financial services, healthcare and higher education experience to her role as a senior manager on our management consulting team, developing and delivering customized management and leadership development programs for a variety of clients from different industries. Her training and consulting engagements focus on advancing leadership skills and interpersonal communications and creating high performing teams. 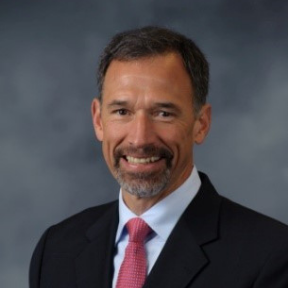 Joe Doty is the Executive Director of the Dr. John Feagin Leadership Program and Associate Director of the Leadership Education and Development (LEAD) curriculum at the Duke University School of Medicine. He recently returned from three years in Singapore working as a leadership and ethics advisor. Joe is a graduate of the U.S. Military Academy, West Point NY, and served in both educational and leadership positions during his 28 years in the Army. Doug Douds is a Marine Colonel, a professor at the U.S. Army War College, and a Licensed Battlefield Guide at the Gettysburg National Military Park. He holds history and political science degrees from Wake Forest University and a master’s degree in strategic studies from the U.S. Army War College. A fighter/attack pilot by trade and a graduate of the Navy Fighter Weapons School (Top Gun), he also has served as a strategist and senior speech writer for the Chairman of the Joint Chiefs. Stan Florer, President of S F Dynamic Solutions, LLC, supports organizations large and small to help them more effectively develop their leadership and management teams. He brings to his clients his experience from a 28-year career in the Army and ten years of business consulting. His Special Forces leadership positions in Command, education and training development give him the insight needed in today’s education, business and defense related government organizations. Larry Forster retired from the U.S. Army after 30 years of active duty where he was known as an expert on peace and stability operations. Since retirement in 2002, he served as a program director, senior manager, and VP with several large government contractors. He was responsible for multiple police training and security programs and projects in Saudi Arabia, Afghanistan, Kyrgyzstan, West Africa, and Iraq under the Departments of Defense (DOD), and State (DOS). Stephen (Steve) Gerrasis the Professor of Behavioral Sciences in the Department of Command, Leadership, and Management at the U.S. Army War College. He served eight years as the director of the strategic leadership curriculum at the War College. Colonel Gerras served in the Army for over 25 years, including commanding a light infantry company and a transportation battalion, directing the leadership curriculum at West Point, and serving as the Chief of Operations and Agreements for the Office of Defense Cooperation in Ankara, Turkey during Operation Iraqi Freedom. Don Holder is an independent consultant on leadership, Joint Force and Army doctrine, and training. As one of six Battle Command Training Program (BCTP) Senior Mentors, he coached commanders of Army corps, divisions and brigades in advanced training exercises. He advises doctrine writers and force designers on future operations and lectures on theater operations at foreign and US service schools. Olav Holst is currently a military historian in Honolulu Hawaii specializing in the history of the Pearl Harbor attack. Olav is a graduate of the University of Hawaii with a degree in International Business. He also graduated from the Pacific Asian Management Institute and the University of Hawaii Real Estate Appraisal School. He was commissioned from the University of Hawaii Army Reserve Officer Training Corps and served for twenty years as a combat engineer and a civil affairs officer. LTG (Retired) David H. Huntoon, Jr. is the President of D2H Leadership Consulting in Arlington, Virginia. He recently completed a forty year career as an officer in the US Army as the 58th Superintendent of the U.S. Military Academy at West Point. While serving at XVIII Airborne Corps, Fort Bragg, North Carolina he deployed as a Senior War Plans Officer for Operation Just Cause and Operations Desert Shield and Desert Storm. LTG Huntoon's awards include three Distinguished Service Medals, six Legions of Merit, and the Bronze Star. W. Brad Johnson is Professor of psychology in the Department of Leadership, Ethics and Law at the United States Naval Academy. A clinical psychologist and former Lieutenant Commander in the Navy’s Medical Service Corps, Dr. Johnson is the author of 130 journal articles and book chapters, and 13 books, in the areas of mentoring, professional ethics, and counseling. His most recent books include: The Elements of Mentoring, 3rd edition and Athena Rising: How and Why Men Should Mentor Women. During her 47 year career at CBS News, Linda Mason charted a path from Desk Assistant at CBS Radio to Senior Vice President of CBS News. During that time she worked with anchors Walter Cronkite and Dan Rather on the CBS Evening News and Charles Kuralt of Sunday Morning. Mason has been honored with the highest awards in broadcast journalism: two Peabody Awards, an Edward R. Murrow Award from the RTNDA,13 Emmy Awards and a Lifetime Achievement Award from the NYC Chapter of Professional Journalists. Chris Maxwell is a Senior Fellow, Center for Leadership and Change Management, at the Wharton School of the University of Pennsylvania. Chris previously taught “Leadership and Communication in Groups” at the Wharton School and directed a wide variety of domestic and international leadership development programs in remote areas of North America, Mexico, Patagonia, Peru, Quebec, and Iceland. Dr. Kathy Maxwell previously taught_ kinesiology, business, and special topics Honors courses at Penn State University. While at the University, she earned programming awards from the National Continuing Education Association, was the recipient of multiple Teaching with Technology grants, and won an Outstanding Teaching Award. Kathy's academic background includes advanced degrees in Nursing, Health Education, and Adult Education. Tanya McCausland is the Chief Operations Officer at Diamond6 Leadership & Strategy, LLC and a health and wellness speaker. Tanya holds a Nutrition Consultant certification from Bauman College in Berkeley, California and is Board Certified in Holistic Nutrition through the National Association of Nutrition Professionals. Prior to her work in health and nutrition, she worked for Martha Stewart Living Radio (MSLR) in New York City as lead producer and fill in host for Morning Living, an early morning drive time talk program. Dr. Edna Greene Medford is Professor of History at Howard University. She has also served as director of the department’s graduate and undergraduate programs and as director of the history component of New York’s African Burial Ground Project. 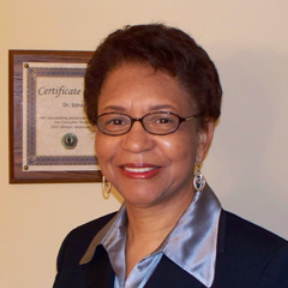 Dr. Medford specializes in 19thcentury United States history and teaches courses in the Jacksonian Era, Slavery, the Civil War and Reconstruction, and the African American experience. She lectures widely to community groups and at universities around the country and abroad, including the Netherlands, Northern Ireland, South Africa and Canada. Lt Gen (ret) Chris Miller is the Helen and Arthur Johnson Chair for the Study of the Profession of Arms at the US Air Force Academy; President and founder of 21st Century Defense Strategies, Inc; and President and Chairman of the Air Force Historical Foundation. In his last uniformed position, he was the Air Force’s Deputy Chief of Staff for Strategic Plans & Programs, where he led USAF long-range strategy and was responsible for prioritizing and producing $600 billion-plus, five-year Air Force budgets. His expertise is organizational and interpersonal leadership of complex processes under stressful circumstances. 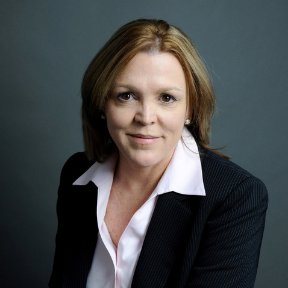 Bernadette Mitchell is Chief Strategy Officer at AXA Equitable, she has over 25 year of experience in Finance. She has been instrumental in building a distribution channel for AXA Equitable’s Retirement Benefits Group (RBG) of over 1000 financial services representatives nationwide. Her career has been focused on the Retirement Savings market for educators and non-profit employees. Bernadette has headed up the Retirement Benefits Group responsible for the Strategic development team, including the training and business optimization for AXA Equitable’s pension businesses within the employer-sponsored markets. Roy J. Panzarella is the Chief Executive – UAE for Lockheed Martin Global Incorporated. He leads the corporation’s business development activities in the UAE. Prior to joining Lockheed Martin in September of 2005, Mr. Panzarella served as a U.S. Army Aviator and Foreign Area Officer for over twenty-seven years. As the Chief of the Office of Defense Cooperation at the U.S. Embassy in Rome, Italy, he was responsible for numerous bilateral programs to include the Joint Strike Fighter, F-16, C-130J, and Missile Defense Programs. Dr. Park maintains a targeted consulting practice where he works with his clients on issues related to strategic planning, change management, enterprise risk management, coaching and leadership development. He has multiple publications including co-authorship of the book "Creating in House Sales Development Programs "and regularly speaks at regional and national conferences. Matthew Pinsker holds the Brian Pohanka Chair of Civil War History at Dickinson College in Carlisle,Pennsylvania. He also serves as Director of the House Divided Project at Dickinson College, an innovative effort to build digital resources on the Civil War era. Matt is currently a Visiting Research Professor at the Strategic Studies Institute of the U.S. Army War College. He is also a Bernard L. Schwartz Fellow at the New America Foundation in Washington, DC. James F. Powers, Jr. currently serves as a consultant for two governmental organizations whose mission nexus is with Homeland Security and Defense – the Pennsylvania State University and the US Special Operations Command. He previously served as Pennsylvania’s Director of Homeland Security from which he retired in 2010. He has also served as an instructor at the U.S. Army War College in Carlisle, PA, and authored several monographs focused on Special Operations and Military Education. Carol Reardon is George Winfree Professor Emerita of American History at Penn State University. A military historian who specializes in the Civil War and Vietnam eras, she served two terms as president of the Society for Military History, the field's preeminent scholarly organization. She has taught as a visiting professor of history at the U.S. Military Academy and at the U.S. Army War College, and she served for fourteen years on the Board of Visitors of Marine Corps University. George E. Reed, Ph.D. is the dean of the School of Public Affairs at the University of Colorado, Colorado Springs. For the previous eight years he served as a professor and associate dean in the School of Leadership and Education Sciences at the University of San Diego. Prior to joining the faculty at the University of San Diego he was the Director of Command and Leadership Studies at the U.S. Army War College. He served for twenty-seven years as a Military Police Officer and retired at the rank of colonel. 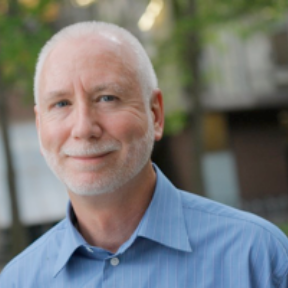 John Rinehart has used his diverse background, combining experience in community-based leadership development, nonprofit management, production agriculture, and retail sales, to create a consulting business that is based on real-world experience and delivers real-world solutions. 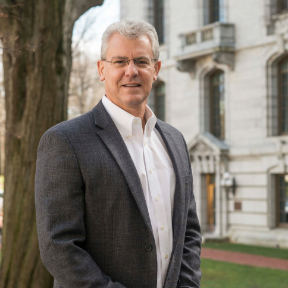 John began his involvement in leadership development as a fellow with the Pennsylvania Rural Leadership Program (RULE), a two-year intensive leadership development experience funded by the state of Pennsylvania and administered by Penn State University. Elizabeth G. Simcox, Esq. is the Executive Director of the Dauphin County Bar Association, the 4th largest county bar association in Pennsylvania. Prior to this, she was the Associate Director of Development for The Penn State Dickinson School of Law and was formerly the first Vice President of Student Services at Harrisburg University of Science and Technology from 2007-­‐2009 where she was responsible for creating, maintaining and evaluating services and programs for its student community. Additionally she was responsible for the development and oversight of the Internship Program and the Business Mentor Program. 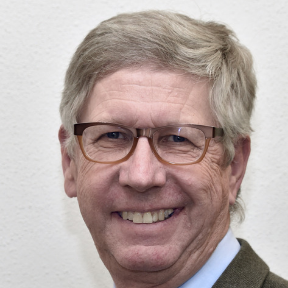 David O. Smith is an independent consultant to Lawrence Livermore National Laboratory and Science Applications International Corporation on issues related to South Asia. He regularly participates in three series of regular, quasi-official” engagements with senior Pakistan and India officials sponsored by Livermore, the Naval Postgraduate School in Monterey, California and the Woodrow Wilson International Center in Washington D.C.
Don M. Snider is Emeritus Professor of Political Science at West Point, from which he retired in 2008. He serves now as Senior Fellow in the Center for Army Profession and Ethic (CAPE) and Adjunct Research Professor of the Army War College. He holds a Doctorate in Public Policy from the University of Maryland and Master’s degrees in economics and public policy from the University of Wisconsin. Steele has over thirty years of extensive national and international human resources experience as a leader, problem solver, and project manager. 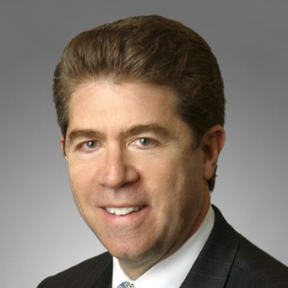 He has successful leadership, management and consulting experience with a broad, unique background from the military, education, and pharmaceutical industry sectors. As an Army officer, Gary served 9 of his 23 years outside of the United States. He commanded at the battalion level and closed his career as a member of the doctrinal team charged with the 1993 revision of FM-100-5, Operations, at the School for Advanced Military Studies at Fort Leavenworth, Kansas. Dr. Joe Thomas currently serves as the Class of ’61 Chair and Distinguished Professor of Leadership Education at the US Naval Academy and as the Academic Director, US Customs and Border Protection Leadership Institute, Robert H. Smith School of Business at the University of Maryland. He’s also taught at the University of Notre Dame, George Washington University, National Outdoor Leadership School and is the past Director, John A. Lejeune Leadership Institute at Marine Corps University. Jack Thomas Tomarchio is a principal with the Agoge Group, LLC, an international strategic advisory firm based in Wayne, Pennsylvania. He is also Executive Vice President for Cyber Strategy with Xero Day Cyber, a cyber solutions firm based in Ft. Lauderdale, Florida. He concentrates on developing business processes for technology companies, many of them in the defense, homeland security, cyber security and intelligence fields. He is also an active entrepreneur and has been involved in numerous early and mezzanine stage companies as an investor and a principal. Clemson Turregano is a Senior Faculty member in CCL’s government sector where he designs and delivers leadership programs for managers at all levels. Clemson’s leadership research spans practical and academic applications from the strategic level to tactical implementation, from boardrooms to government arenas. His broad range of knowledge is heavily influenced by his background in public administration and his experience as the Coaching Practice Leader for CCL’s Greensboro campus. Colonel Tom Vossler, U.S. Army (Ret.) served in the U.S. Army from 1968 thru 1998. He commanded an infantry platoon in the Vietnam War and a Mechanized Infantry Battalion Task Force in Germany prior to the fall of the Berlin Wall / Soviet regime. His military education includes graduation from the U.S. Army Command and General Staff College and the U.S. Army War College. 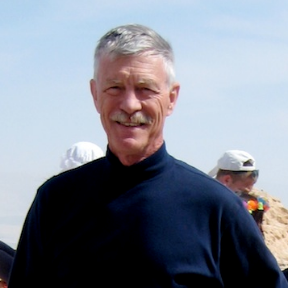 Tom taught military history, strategy and leadership at the U.S. Army War College and he is a former director of the U.S. Army Military History Institute at Carlisle Barracks, PA. Colonel Fred Wieners, U.S. Air Force (Retired), served for 28 years as a command pilot, Pentagon staff officer and university professor from 1975 thru 2003. Fred holds a Bachelor of Arts degree in International Relations from Lehigh University, a Master of Arts degree in Personnel Management from Central Michigan University and a Master of Science degree in National Security Studies from the National Defense University. Lily was the principal of PS 130 Manhattan – The DeSoto School for 25 years from 1990 to 2014. As principal, she is credited for transforming PS 130 from a corrective action Title I school into one of the city and state’s best elementary schools, recognized for consistent high achievement and performance as a New York City, New York State and United States Department of Education Title I Distinguished School.